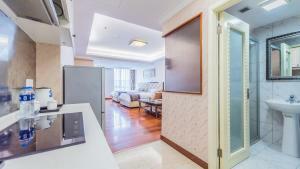 Clean and sanitary, good location, good decoration, good facilities, home feel and satisfaction. 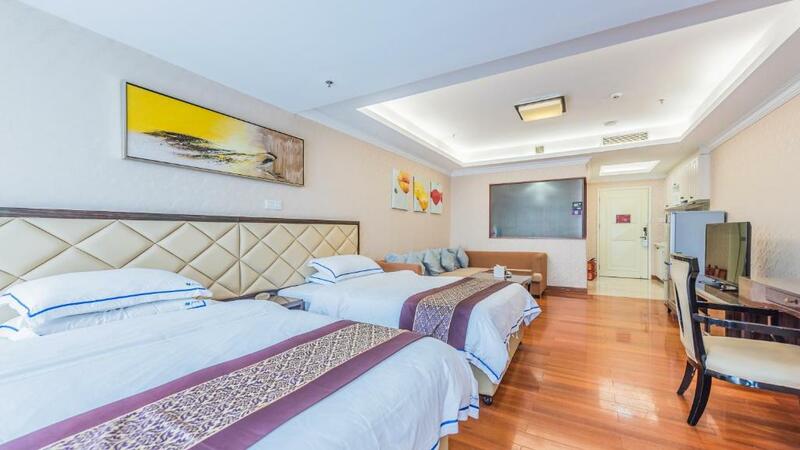 High quality clean rooms are spacious, comfortable beds, sound insulation effect is good! Not bad. The service is excellent. The front desk manager is very patient to help me solve my problems. The room is very clean and comfortable. The traffic is very good and I like it very much. Next time, I'll come and live here. 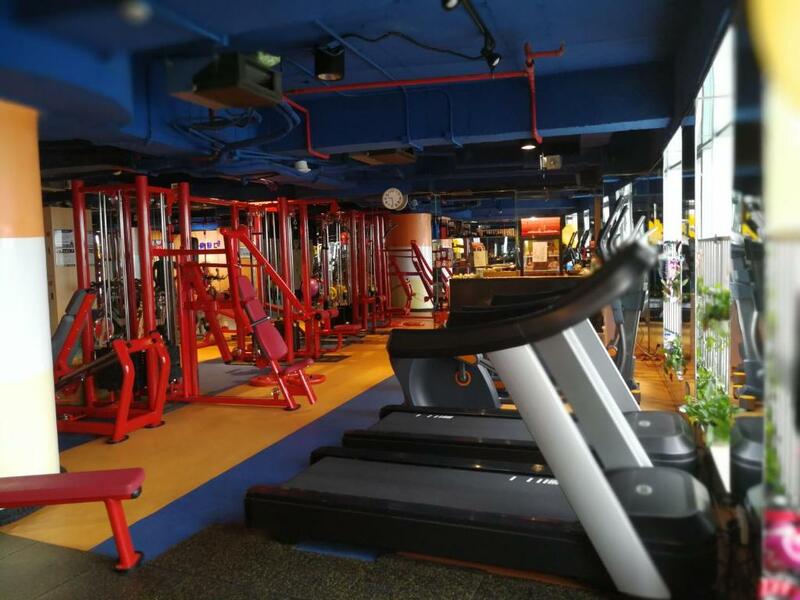 Every corner is clean, all the facilities are in place, and on the whole, it's a comfortable stay. It's highly recommended. 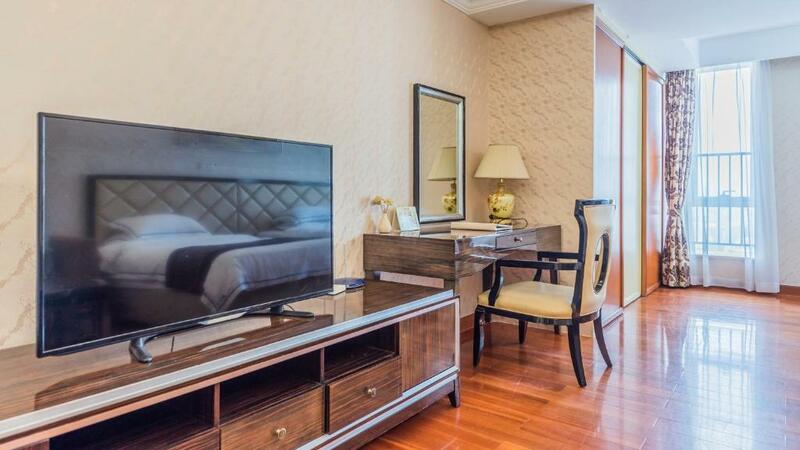 One of our top picks in Guangzhou.Only a 3-minute walk from Friendship Department Store, The Legend Nomo Service Apartment features self-catering accommodations with free Wi-Fi. It offers basic guest services including laundry service and dry cleaning. 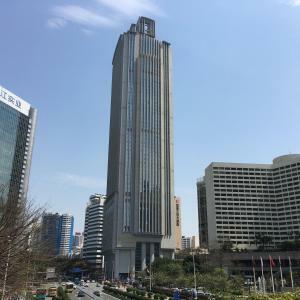 The Legend Nomo Service Apartment is an 18-minute drive from Canton Tower and a 27-minute drive from Pazhou Complex Center. 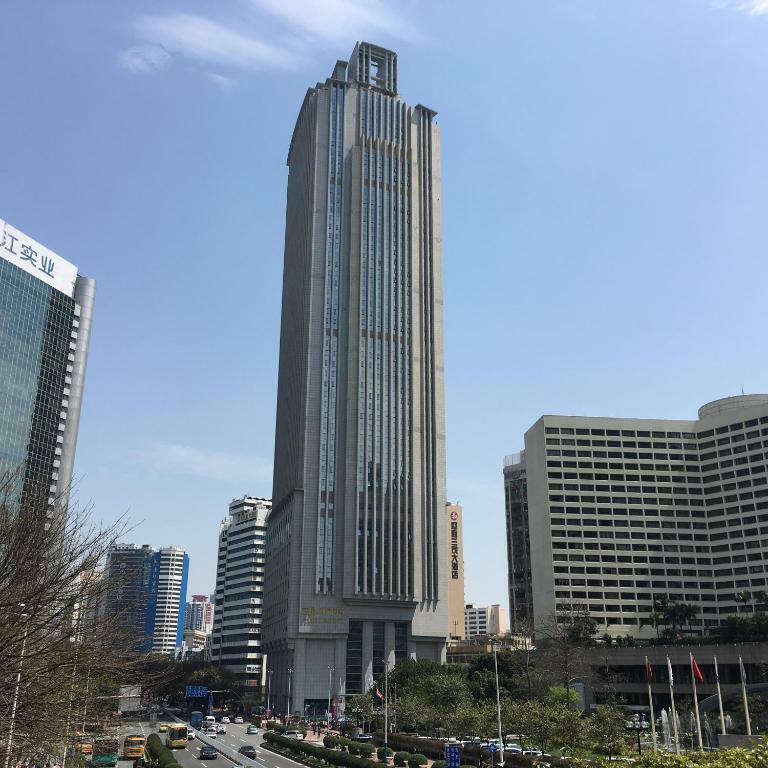 It takes 10 minutes by taxi to Guangzhou Railway Station. Baiyun International Airport is about 37 minutes' drive away. Offering city views, all units fitted with wooden flooring offer a kitchenette with a stovetop and a fridge. 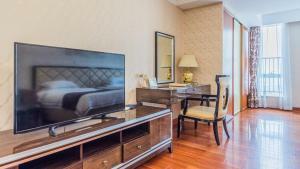 They also come with a flat-screen cable TV, ironing facilities, a work desk and an private bathroom with soft bathrobes and shower facilities. Guests can rent a car to explore around by themselves. Public parking is possible on site. A variety of local dining options can be reached nearby within walking distance. 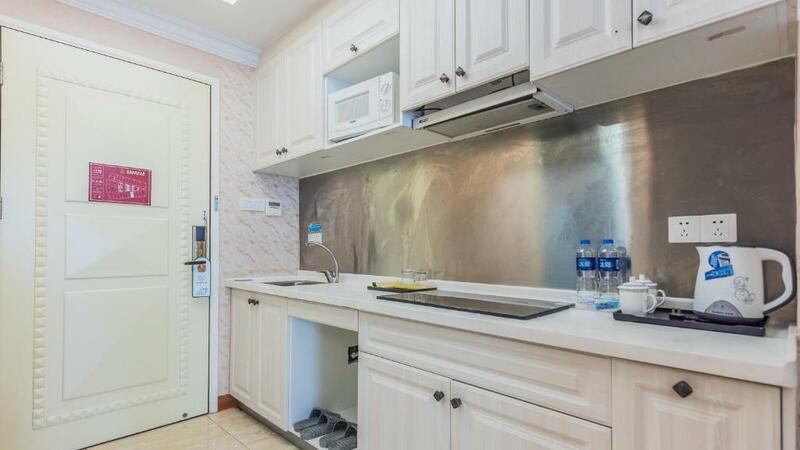 뀐 Located in the top-rated area in Guangzhou, this property has an excellent location score of 9.0! 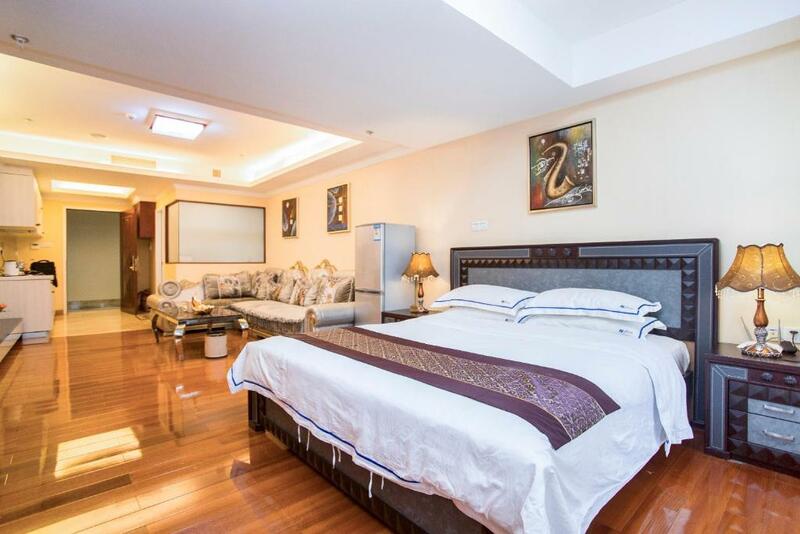 When would you like to stay at The Legend Nuomo Service Apartment? This double room features an electric kettle, air conditioning and cable TV. Public parking is available at a location nearby (reservation is needed) and costs CNY 80 per day. This twin room features an electric kettle, bathrobes and sofa. This double room has a garden view, CD player and hot tub. This double room has a electric kettle, sofa and air conditioning. This triple room features a electric kettle, air conditioning and stovetop. This suite has a electric kettle, stovetop and bathrobe. This suite features a soundproofing, sofa and electric kettle. Area Info – This neighborhood is a great choice for travelers interested in clothes shopping, accessories shopping and markets – Check location Excellent location – show map Guests loved walking around the neighborhood! House Rules The Legend Nuomo Service Apartment takes special requests – add in the next step! A CNY300 damage deposit is required on arrival (around USD44.74). This deposit will be fully refunded at check-out, as long as there isn't any damage to the property. The Legend Nuomo Service Apartment accepts these cards and reserves the right to temporarily hold an amount prior to arrival. - Free shuttle bus service is available. - 2 free breakfast per room can be enjoyed. A damage deposit of CNY 300 is required on arrival. That's about 44.74USD. This will be collected as a cash payment. You should be reimbursed on check-out. Your deposit will be refunded in full, in cash, subject to an inspection of the property. Please inform The Legend Nuomo Service Apartment of your expected arrival time in advance. You can use the Special Requests box when booking, or contact the property directly using the contact details in your confirmation. It’s a trap! The pictures are not the same as the ones In booking.com. The apartments are located in an old building. Th furniture is old and the place smells. The bed sheet had cigarette burns. The towels were old and had stains. There was dry tea leaves on top of the fridge. End of story it’s not worth it! No heating,Staf are aaa oooo aaaa oooo sory can not ! The cockroaches. And it is not a 4star as advertised it is a 2 star at most. The cleaning ladies did not do a good job of cleaning only used water and some nondescript spray no disinfectant. But they were nice friendly smiling ladies. The reception guy I think his name is David is also very friendly and exceptionally helpful. His service alone is 5 Star. The guy that fixes plumbing and i guess everything else, smokes in the unoccupied rooms. Not ok. There were cockroaches in the room. Proper cleaning would be required. The towels were worn out.